I’ve been a little negative lately, because I am not seeing simple things getting done, things that should take an afternoon at most rather than something like 6 months or more, and that in fact were supposed to happen last year. Some of these problems are over a year old, some of them were introduced with the Account migration. With that in mind, rather than being negative, I want to help by pointing out some simple things that could be done quickly, but that would help quite a bit. We’ve heard multiple times that the UO team values potential new players and returning players alike, since both help grow UO’s population. The first thing that many potential and returning players are going to do is visit UO.com. The second thing that will happen is that they will be redirected to UOHerald.com. Hopefully that will change later this year, but for now, you work with what you have available. Once they get to UO Herald, there are far too many things that could start them off with a negative impression. There are broken links, confusing information, missing information, etc. on UOHerald, and those links and bad information could be easily removed or corrected in an hour or two. If you have to get approval from some EA executive to remove a broken link or point to the proper EA website, may the spirit of Lord British keep you from bashing your head on your desk so hard that you require a trip to the hospital. All of these should require no more than a few minutes at the most for each individual item. – Remove the “temporary” crap, it’s been down for a long time and there is no indication it will ever be added back. – Change the wording to properly reflect that UO Game Codes store does not exist any longer and explain that it will take you to the Origin store. – Mention Pinco’s UI prominently on the Enhanced Client section of the Playguide– players who are new to UO, but not new to MMOs, are used to customizable UIs, and I do not recommend that they play the stock EC. Pinco’s UI will make it much more enjoyable for them. 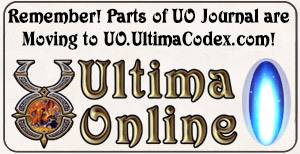 – Set aside an area of UO Herald and have all of the individual EM websites linked from there. Better yet, since the EM websites are running WordPress and spitting out RSS feeds, get a Drupal module installed on UOHerald.com that reprints RSS feeds from those EM websites so that new and returning players can easily find events happening where they will meet a bunch of people and hang out together. 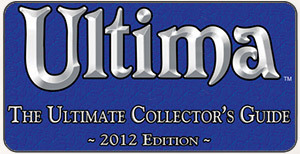 You spend money on EMs, but unlike UltimaOnline.jp, you don’t bother to advertise the fact that you have EM Events. REALLY? This last one, it was promised by Cal, and then Jeff said on Twitter he would look into it, but it didn’t happen. It’s probably because it’s a separate part of EA, but given that it would save EA support costs, somebody should make it happen. At the very least, it could frustrate players who are trying to give you money. You have an Account Tutorial on UO Herald.com – http://www.uoherald.com/node/452 – LINK TO IT from the Accounts.EAMythic.com website and mention the _uo bit where necessary so that returning players don’t get frustrated talking to EA support, and so that you save them their time (it is valuable, you know), and so that they don’t start their return off by a crappy customer support experience.